While you may pine for a state-of-the-art outdoor kitchen in your new home plan, your budget dictates a simpler, more-scaled down version of your dream. There is no reason to fret and worry about it. For a limited budget - from $2,000 to $5,000 - you can come up with an attractive and trendy space for that outdoor living house plan you may have in mind. 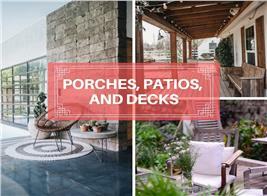 Here are some appealing options to get your backyard/rear patio ready for summer cookouts. 1. Simple basics can work wonders. A number of homeowners who are looking for inexpensive designs find that a simple pre-made outdoor grill unit with a little space for food preparation and utensils is one of the best options. They are well-made, attractive, and portable – they can be moved around the patio or to a future home. To complete the look, get an all-weather kitchen cart with storage space. Add a dining table and chairs – and you’ve created a comfortable and relaxing space for the deck or rear porch of your home plan. 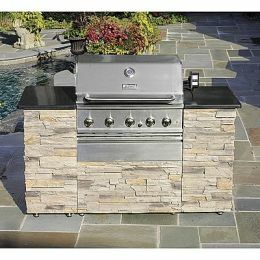 A high-quality outdoor grill unit is a very appealing and affordable option for homeowners with a small budget. 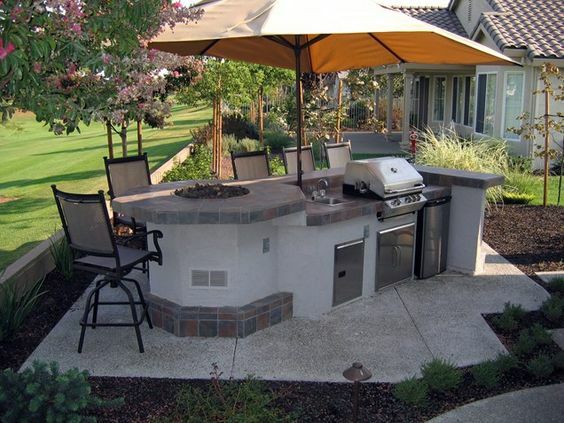 Sometimes, homeowners are content with the basic “grill and fridge” for their barbecue needs and cold drinks. Be adventurous and try a money-saving prefabricated model equipped with facing; countertops of stucco, stone veneer, tile, or granite; and appliance choices, including refrigerators. Prefab modules are delivered to your home and can be installed on any flat surface – your deck or a designated spot in the backyard. Among the advantages of prefab outdoor kitchens are little to no kitchen design, fast installation, savings on labor costs, and the option of taking the module with you if you move. 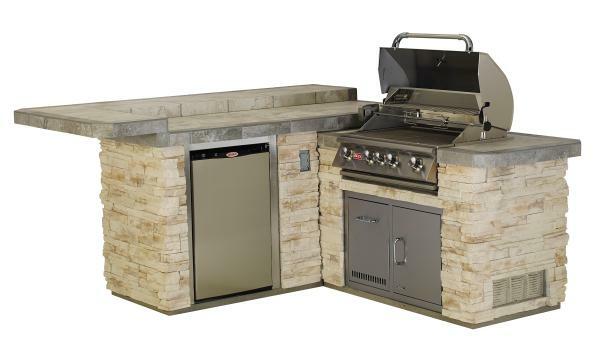 Here’s a small but attractive L-shape prefabricated outdoor kitchen island that you can set up in your backyard or deck. 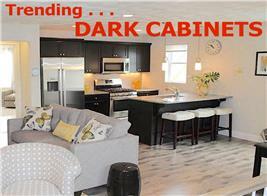 It comes with a four-burner grill, counter space for food preparation, and a stainless steel refrigerator. 3. Use existing space for a basic built-in grill. For some homeowners, a basic four-burner grill built into an existing space/wall on the deck or rear porch may be enough for their outdoor entertaining needs. 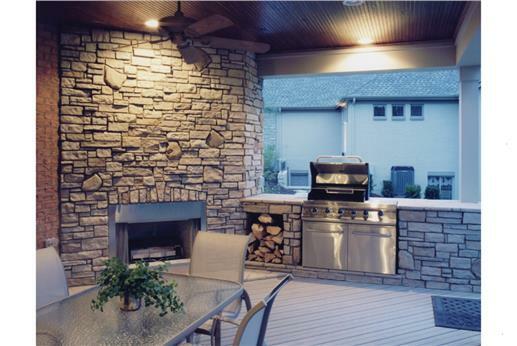 The grill can be installed next to an outdoor fireplace to make dining alfresco more comfortable. A basic four-burner grill is built into one side of the rear deck of this 3-bedroom Craftsman Ranch-style house plan. Check out how the space is utilized – with the deck ledge as space for food preparation and cooking utensils. A dining set completes the look of this homey “bare essentials” outdoor kitchen (Home Plan #169-1016). 4. Avoid options that involve a contractor or designer. Items like electricity and plumbing – which involve hiring a contractor - can be very expensive. 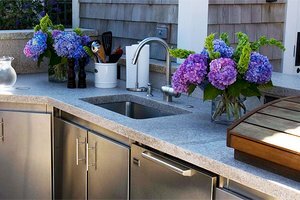 While the costs of outdoor sinks are not that different from indoor ones, experts advise homeowners to avoid installing a sink because of plumbing costs. 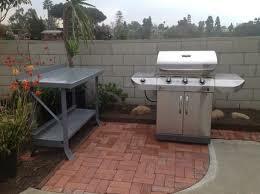 Instead, position the outdoor kitchen close to a water hose for cleanup. 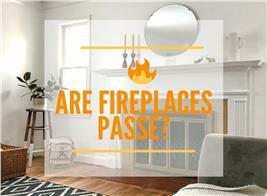 Propane or charcoal are recommended rather than running gas lines. The sink itself does not cost a lot of money – but because plumbing connections are expensive, it may be best to "sink the sink.'" 5. 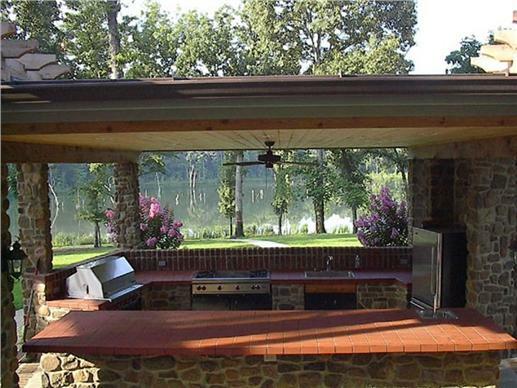 Create your own outdoor kitchen island. If prefabs and other money-saving options don’t excite you, think of building your own outdoor kitchen island. All you need is a well-made freestanding grill. Then look for repurposed materials to put together your island for food preparation, serving, and dining. If that’s too much work, then how about buying an all-weather prep table with a lower shelf for storage? For limited space and a small budget, all you need is a good freestanding grill and a prep table with a lower shelf for your summer cookouts and backyard entertaining. 6. Add ambiance and color. Finally, add some accents to give your outdoor kitchen personality, appeal, and charm. Think bright-colored umbrellas to provide shade and protection from the elements. Planters, flower pots, lights around the outdoor space, lounge chairs with colorful cushions, attractive tablecloths, and serving platters will make your outdoor kitchen more inviting. A patio umbrella is a nice decorative touch to this cozy outdoor kitchen. A pair of potted flowers, a light sconce, and a ceiling fan add to the charm of this delightful outdoor kitchen set amid all the trees and shrubs of the backyard of a 2-story, 3-bedroom European style home plan (House Plan #106-1156). 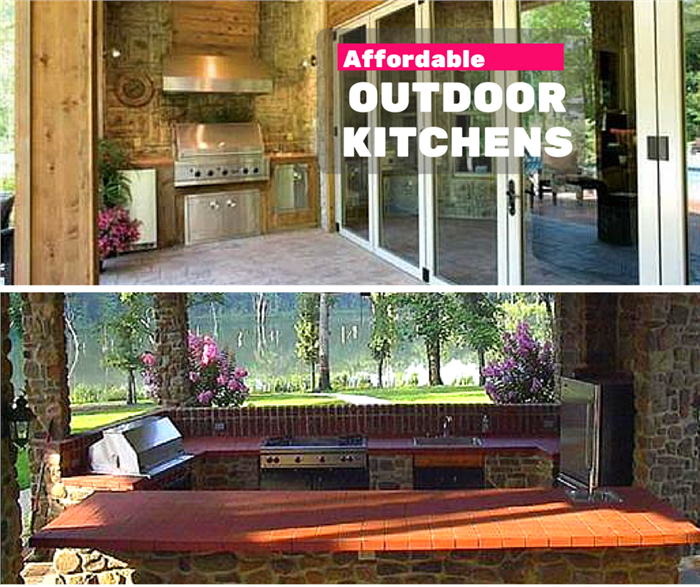 With a little imagination and some inspired “do-it-yourself” work, you can have an affordable outdoor kitchen that combines style with comfort and appeal. Footnote: The lead image in this article is the outdoor kitchen of a 2-story, 3-bedroom European-style house plan. For more details, click here (Home Plan #153-1897).